Truncale was given a tour of the campus as well as a look into the curriculum, classrooms, studios and student media labs at Scripps Howard, which has a student chapter of PRSA (PRSSA) as well. He was impressed with what he saw. 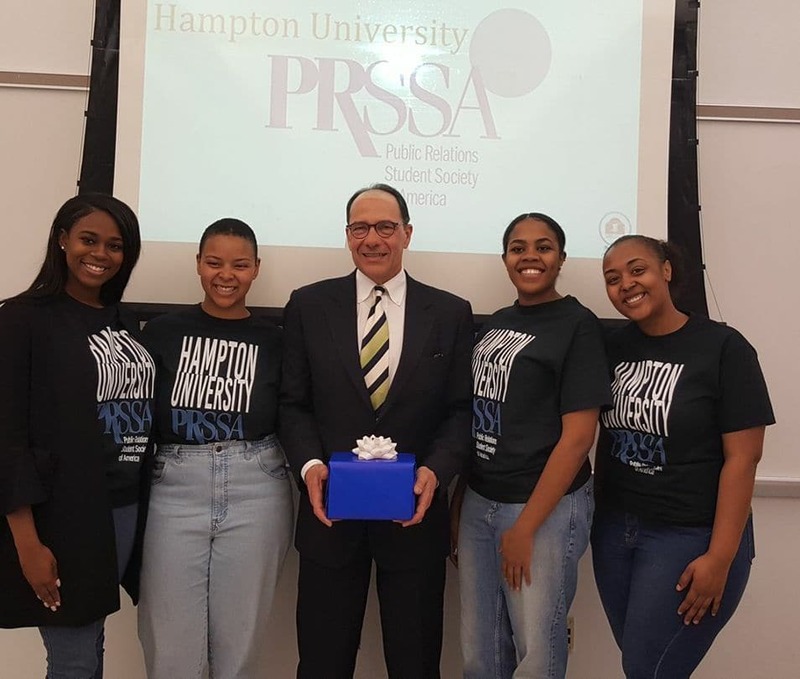 The visit, arranged by Hampton University Associate Vice President for Development Felicia Blow, gave students the opportunity to show off their school and learn from one of the leaders in the field.